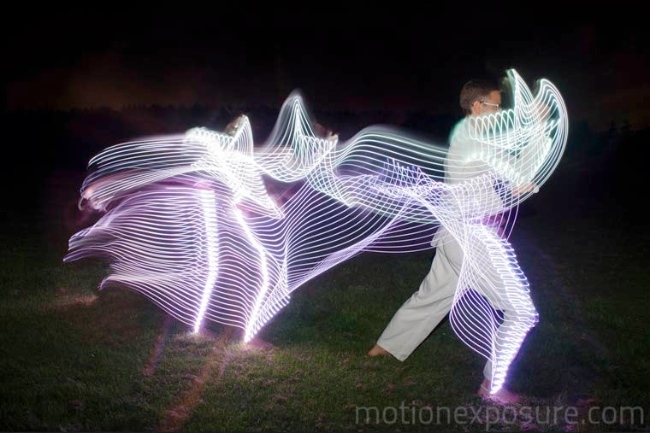 You may have heard about light painting, if not, here are a few words about it – Light painting is a photographic technique in which exposures are made by moving a hand-held light source while taking a long exposure photograph, either to illuminate a subject or to shine a point of light directly at the camera. 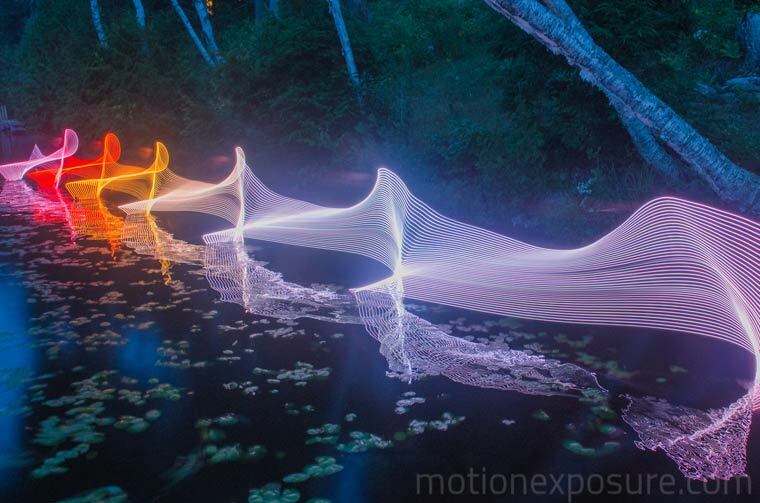 Light painting can also describe works where the camera itself is moved during exposure. Painting with a point of light on a long exposure dates back to 1889, and was used in Frank Gilbreth’s work with his wife Lillian Moller Gilbreth in 1914, when the pair used small lights and the open shutter of a camera to track the motion of manufacturing and clerical workers. Man Ray, in his 1935 series “Space Writing,” was the first known art photographer to use the technique. Photographer Barbara Morgan began making light paintings in 1940. Loads of artists or people from the general public have since tried to master the technique, and keep innovating with genius ideas. 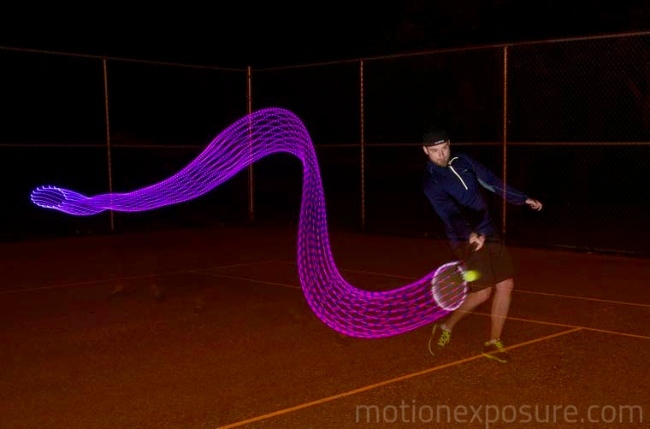 People like Stephen Orlando and his projects Motion Exposure are one of these enthusiasts. The concept is to give the viewer a materialisation of human movements and gestures in sports, such as movements of tennis, kayaking or even karate. The result is beautiful, gracious, and intoxicating. We included the 10 best light painting outputs we felt deserved sharing. I’m fascinated with capturing motion through time and space into a single photograph. 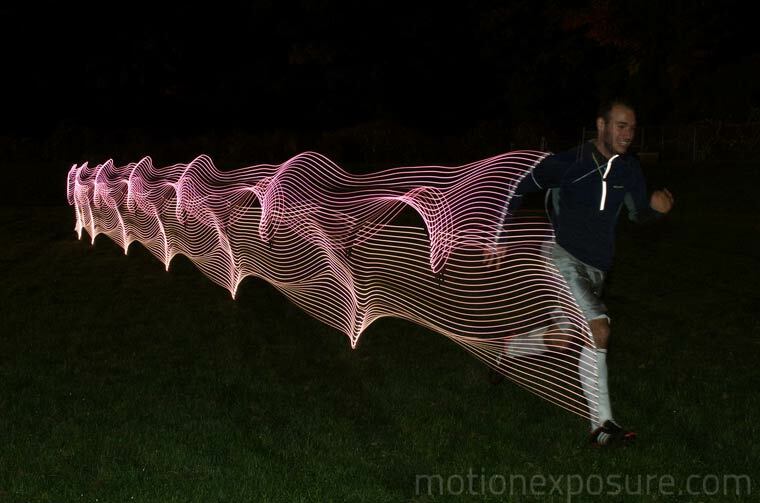 Using LED lights with custom color patterns and long exposure photography, I’m able to tell the story of movement. 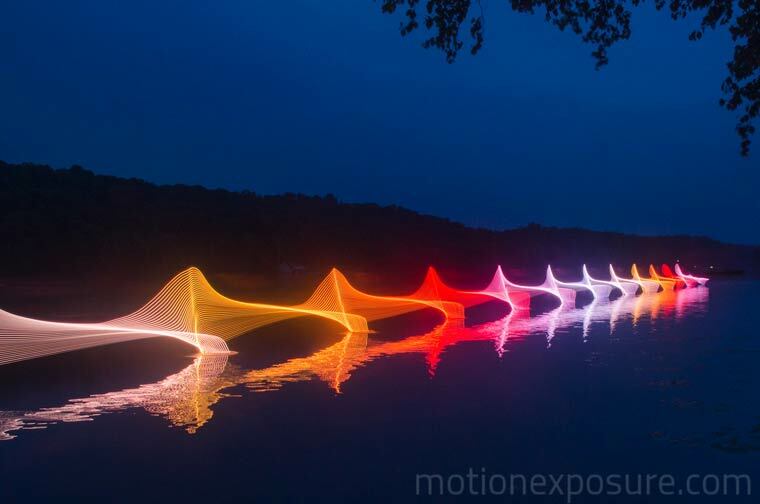 This technique reveals beautiful light trails created by paths of familiar objects. 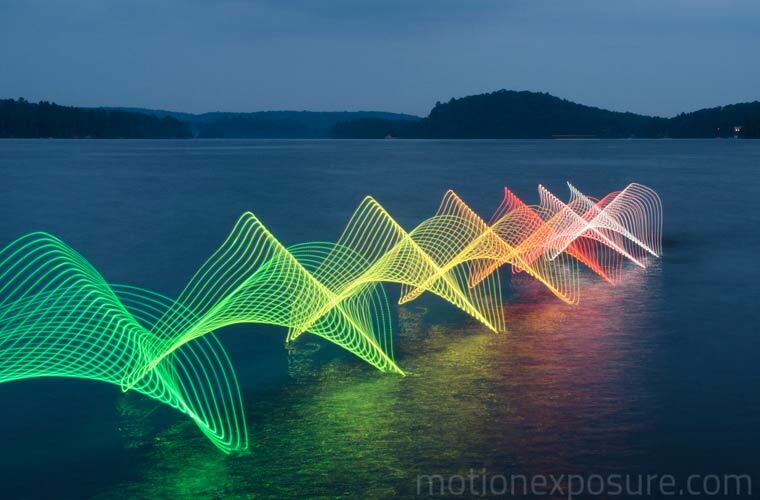 These light trails have not been artificially created with Photoshop, and they represent the actual paths of the objects. My photos focus on motions in nature and in urban landscapes, as well as human movement. I am inspired by the works of Étienne-Jules Marey, Anton Giulio Bragaglia, Gjon Mili, and Frank Gilbreth and their pioneering techniques.